Posted on May 29, 2018 Author Jaco Area PropertiesLeave a comment on King Casa! Esterillos Home w. Private Pool in Esterillos , Esterillos is Sold! 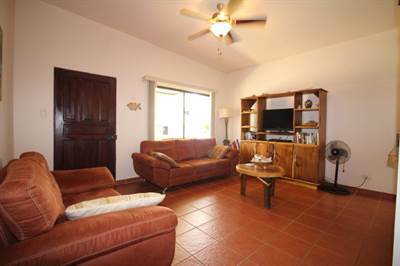 Affordable 2 bedroom/2 bath beach house, about one mile to Great Surf Beach of Playa Hermosa, Costa Rica! This property is in a small, low-key gated community with HOA fees of only $110 dollars per month, 30 lots and 15 homes built. There is 24 hour security and a great pool area, water is $15 (fifteen dollars per month), access is paved all the way from the Pacific Coast Highway. Excellent construction of steel reinforced concrete block and laurel (native hard -wood), there is no drywall in this house! All amenities for modern living are available (AC, internet, wi-fi, cable). Property is in excellent condition and would be a good rental income property as well. • 110 sqft , 2 bath , 2 bdrm single story – FOR SALE USD100,000 . AWESOME DEAL! MEDICAL ISSUES FORCE EXTREMELY MOTIVATED PRICE POINT FOR QUICK SALE! Adorable and awesome 2bdrm beach house ! Walk easily to one of the best beaches in the Central Pacific (Esterillos Oeste), in under 5 minutes. 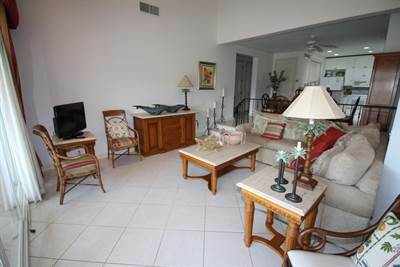 This is a gated and secure community of quaint beach homes, low HOA fees, headache free ownership, great pool and common areas. This home has two bedrooms with two full baths, living room, kitchen, dining area, laundry area and big back porch with BBQ and party areas. What a great house and sold fully furnished with everything! Has great rental potential, cozy and well built. Call me or write for more info. WILL NOT LAST! CASA PACIFIC DREAMS. 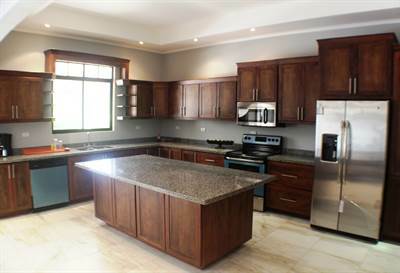 3 BDRM Beach House, Great Extras, Walk to Beach in Playa Bejuco, Playa Bejuco is Sold! in Playa Bejuco, Playa Bejuco The single story at CASA PACIFIC DREAMS. 3 BDRM Beach House, Great Extras, Walk to Beach has been sold. Posted on May 15, 2018 Author Jaco Area PropertiesLeave a comment on CASA PACIFIC DREAMS. 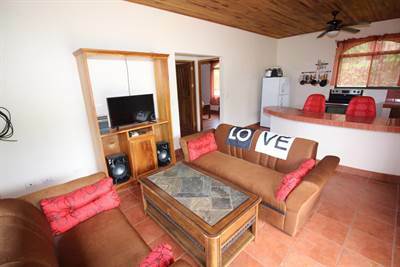 3 BDRM Beach House, Great Extras, Walk to Beach in Playa Bejuco, Playa Bejuco is Sold! 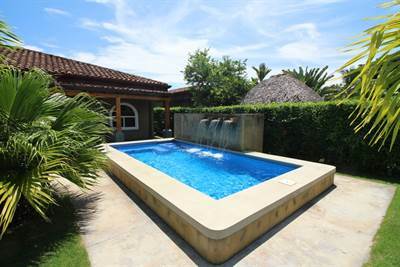 Casa Xanadu II BRAND NEW BEACH HOME w. Pool in Playa Bejuco, Playa Bejuco is Sold! in Playa Bejuco, Playa Bejuco The single story at Casa Xanadu II BRAND NEW BEACH HOME w. Pool has been sold. Posted on May 15, 2018 Author Jaco Area PropertiesLeave a comment on Casa Xanadu II BRAND NEW BEACH HOME w. Pool in Playa Bejuco, Playa Bejuco is Sold! 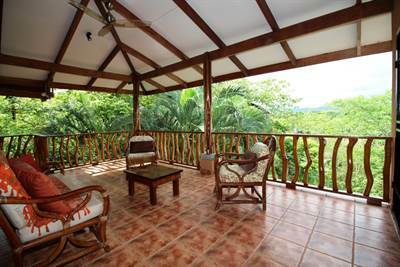 Paradise living in style and luxury in this 3 bdrm condominium, boasting expansive balconies with enchanting views of Herradura Bay, golf course, jungle covered hills and the world famous flora and fauna of Costa Rica. Enjoy the premium location within one of Costa Rica’s top destinations, the Los Sueños Marina, with incredible amenities including beautiful Marina, Golf Course, shops, restaurants, beach club, and Marriot Hotel. This 2100 square foot condo features 3 spacious bedrooms, large balconies to accent incredible views, central air, stainless steel appliances and custom made furniture. Condo is sold fully equipped, furnished, and ready for occupancy. Located in the Colina Condominium Community, unit is ideally situated in the center of Los Sueños Resort, just a short stroll or golf cart drive to all amenities and beach club. The Colina condominiums feature classic colonial architecture designed for gracious living, with vaulted ceilings, crown molding, generous windows and doors, as well as hand-set tile and Italian porcelain floor tiles throughout the units. This condo is sold fully loaded, in EXCELLENT condition, and ready for new owners. This house is one of the best values in this super popular 24 hour gated community and is listed at a highly motivated price point. Walk/golf cart/bike to a beautiful beach only 200 meters away. Luxury construction, upgrades, and sold FULLY LOADED! Home sits on an 800 meter lot (8608 sq ft) making it 300 meters LARGER than most other lots in this development, There is also extra privacy as this property borders green areas. This home has a private swimming pool and beautiful backyard, fully fenced and with lawn, gazebo, concrete BBQ areas. This home features three spacious bedrooms with two full bathrooms (Master has en suite bathroom), large living room, fully equipped kitchen with upgrades and beautiful dining area. 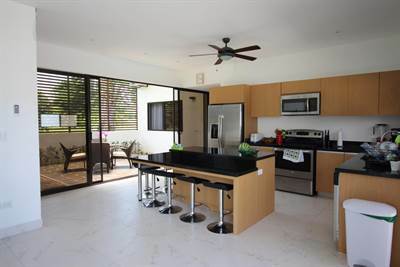 This property has all creature comforts needed to make life in the tropics comfortable and fun. There is wi-fi and cable tv, AC units in all rooms, full garage, and property is sold with everything included. Great rental as well, and property manager in place. This community is one of the most popular in the area, totally secure, common area include pools, tennis court, gardens, 24 hour security. There are a plethora of pools and outdoor activities in the area, as well as shops and restaurants, only 20 minutes south of Jaco, 2 hours from San Jose, and 30 minutes to Quepos/Manuel Antonio National Park. This will not last, inquire via email or phone call asap. 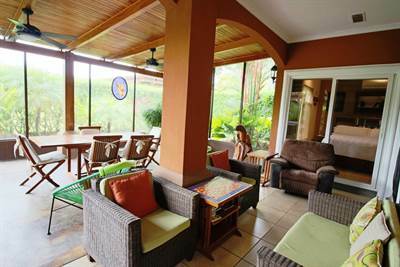 This amazing 3 bedroom multi-level home (w. private pool) is nestled against jungle covered hills in the idyllic sleepy fishing village of Esterillos Oeste, home to one of the prettiest beaches in the Central Pacific, Costa Rica. 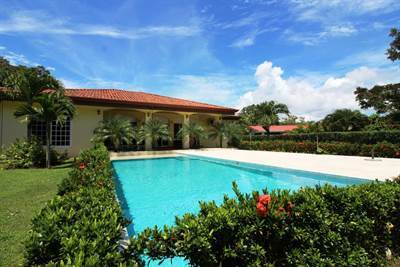 Location is just 15 minute drive south from Jaco beach, a 1.5 hour drive from capital city of San Jose, and 45 minute drive to world-famous Manuel Antonio National Park. This villa features three levels of spacious living areas with huge balcony areas built to take advantage of incredible scenery and year-round warm weather. Home is sold “turn-key” fully furnished and equipped, with Wi-Fi and cable, AC, hot water throughout (and back-up system), as well as outdoor kitchen area, outdoor shower, and lots of storage! Totally clean and secure, this house features rock solid, steel-reinforced concrete block construction. The property was built by and for North American standards and is in impeccable condition. This location is perfect for adventure living yet with all the creature comforts of a modern home, with easy access less than one mile to the stunning beach at Esterillos Oeste, a great beach for surfing, tide pools, beach combing, hiking, fishing, and families.